Overground travel is one of the best ways of seeing any country, and while it is possible to travel from the East Coast to the West Coast in a few hours by air, there really isn't a sense of the journey or the country that you are traveling through. There are plenty of different ways to make the journey, and whether you are traveling for business or pleasure, taking a bit more time about the trip can make it a lot more enjoyable. Domestic flights are quite competitively priced, but these options will often prove to be a cheaper way to travel too. 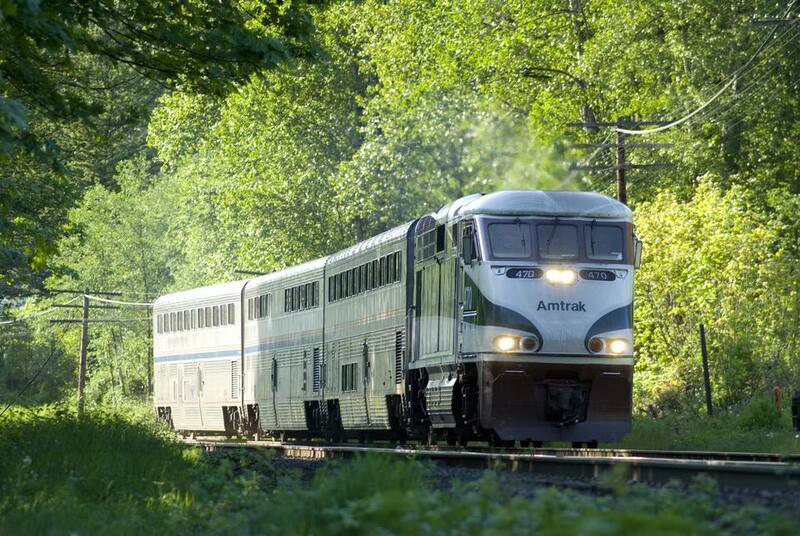 Although Amtrak doesn't operate a network as extensive as the train network found in Europe, there are several ways to get across the country by train. Those traveling from east to west have the choice of a northern and southern route, and two central routes, with the northern three routes passing through Chicago, and the route through the south of the country passing through New Orleans and Houston. Traveling by train is a very pleasant way to see the country, and while it certainly isn't a high-speed journey it offers some large windows for those wanting to enjoy the views, and the option of a cabin so that you can sleep as you travel. Driving is one of the most American methods of transport, as most people in the country own a car. Driving across the country is something that can be done in a couple of days if you are in a rush, but to get the full experience it is best to get off the highway and explore some of the more rural roads. The best road trip route for you will depend on where you want to start and end, but one of the classics is to drive to Chicago and then follow Route 66 all the way to California. Make sure you stay in mom and pop bed and breakfast places and break regularly to enjoy the area you are traveling through, as it will help you to have a truly memorable experience. This is one of the most interesting ways to see the country, and while walking is a method that can take a long time, it is possible to cover this by cycle in as little as a few weeks. Depending on the route that you take and your cycling speed, this can vary significantly, especially as the most direct route across the country is not necessarily the most interesting or the most attractive route. One potential option is the Trans America Trail, which is over four thousand miles, running from the town of Astoria in Oregon to Yorktown in Virginia, and commonly takes around three months to complete. There are relatively few people who choose this option, as it is an awfully long way to walk, and it will almost always take a lot of time, from four months to a year to complete. Nonetheless, it is a wonderful challenge and it also offers the option of choosing some spectacular routes, with a crossing of the Rockies one of the options that will provide memories to last a lifetime. With the scenery, roadside attractions, and historical landmarks, the United States is certainly a county worth exploring.